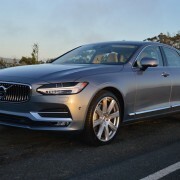 This all new Volvo sedan combines scintillating detail design with enough maddening driving nannies to staff a child care center. Let’s start with the S90′s positives first. Even the most cursory inspection of this Volvo leads to the inescapable conclusion that it is a work of art deserving of inclusion in a museum retrospective of Swedish design. 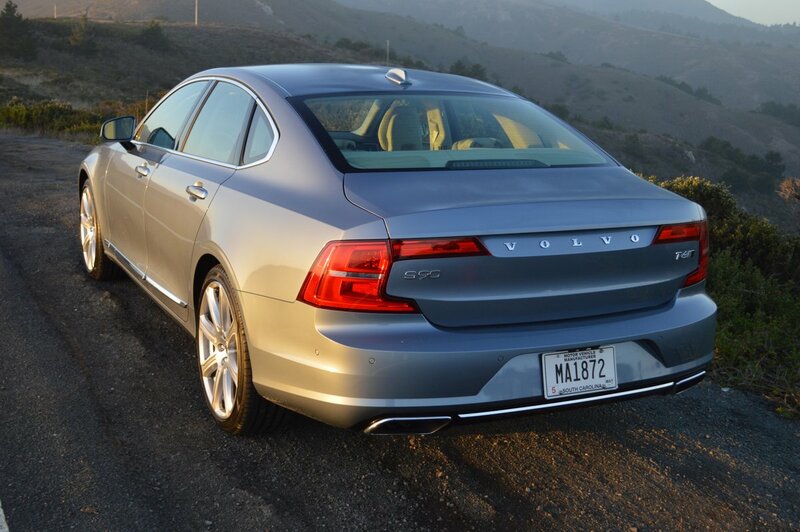 From the outside, the S90′s clean lines and exceptional lighting treatments front and rear set it apart from anything else on the road. 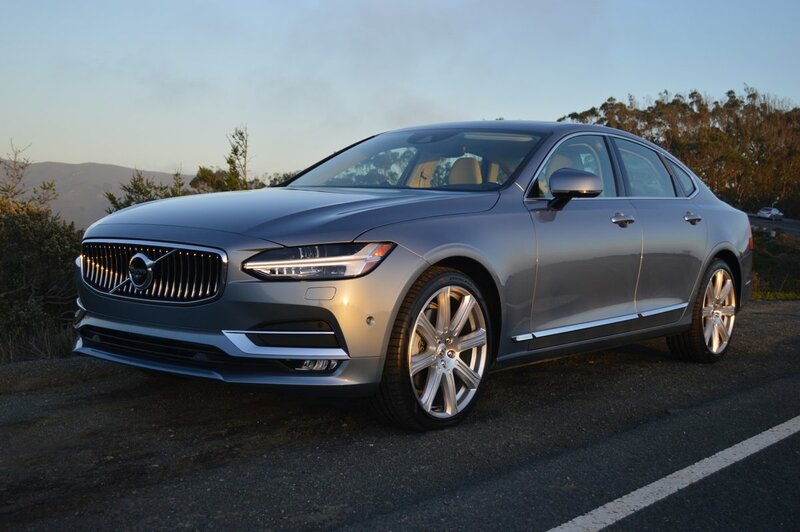 Volvo designers have endowed the grill with a ripe and luscious mouth, described as a “matte silver waterfall with a chrome frame.” If one car could define the word sleek, it would be this chic Volvo sedan. 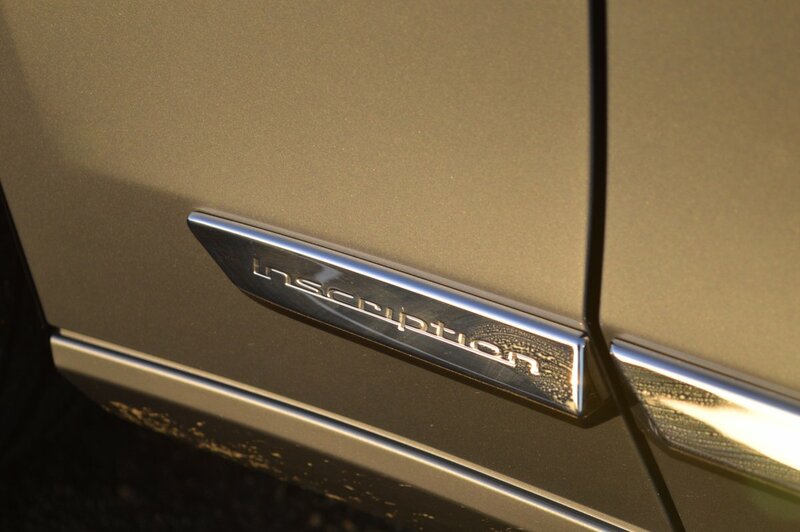 The $3,300 “Inscription Features” include “Linear Walnut Wood Inlays” that are stunning in their matte simplicity. 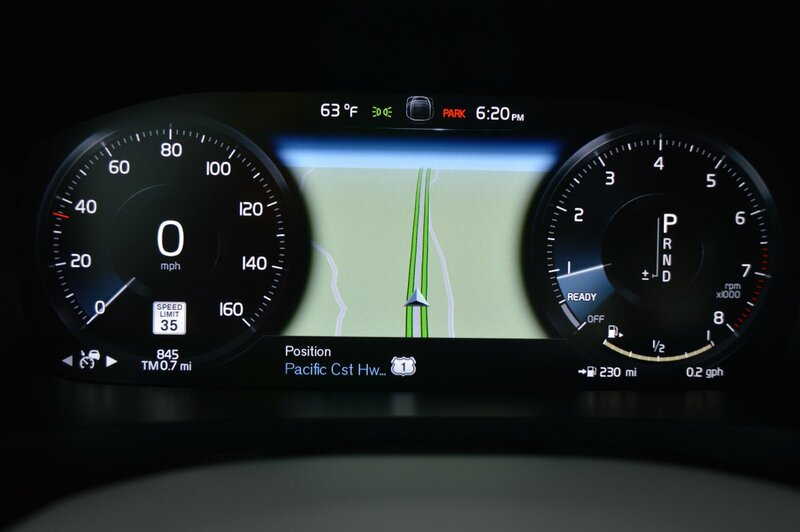 They cover the central console, the passenger quadrant of the dash, and all upper interior door surfaces. These unvarnished swatches of wood comprise but a small part of the Inscription bounty. 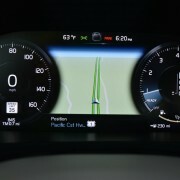 You’ll also appreciate the self-cleaning LED headlights whose beams bend with the direction of travel. The upper sections of the dash and lower sections of the door panels are leather upholstered. 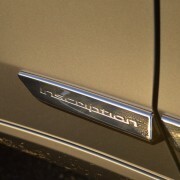 The already plush front seats benefit from inscription grade tweaks like power side bolsters, power under-thigh extension bolsters, and the subtle inscription of the word “Inscription” on the headrests. 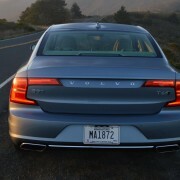 If you can’t get comfortable in this Volvo, you can’t get comfortable, period. Finally, the list of Inscription Features concludes with 19 inch diamond cut alloy rims. On our test vehicle, Volvo upped the contact patch by equipping it with a $750 set of 20 inch model-specific alloys shod with premium Pirelli rubber (255/35R20 P Zero). 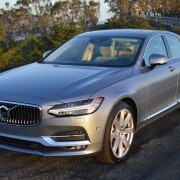 A brand new 8 speed gearbox makes its Volvo sedan debut, providing smooth propulsion for the T6′s 2.0 liter engine. Thanks to turbo-charging and super-charging, the direct fuel injection engine, which is mounted sideways under the hood, produces 316hp and 295 lb.-ft. of torque. 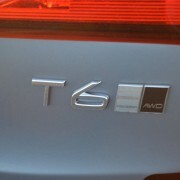 While the horsepower peak takes a bit of sprinting to achieve at 5600rpm, the torque flow maxes at just 2200rpm. Make no mistake, this Volvo is quick enough in a straight line to beat almost any of the German or British competition in the traffic light grand prix. The addition of all-wheel-drive makes the P Zero tires work even harder to gain traction at both ends of the car. Even when you push this admittedly heavy (4,220 pound) Volvo hard, it responds with predictable grip and commendable precision. The center console contains a rotating drive-mode selector, fetchingly done in knurled silver, that allows you to alter the car’s responses from lethargic (Eco) to alert (Normal) to spirited (Sport). 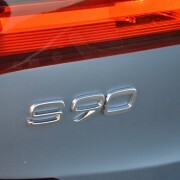 But you must reassign your preference every time you restart the S90. With a ride this sportingly inclined, the absence of paddle shifts is a surprising omission. 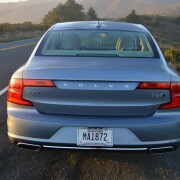 At the outset, we mentioned Volvo’s preoccupation with safety measures that detract from the pleasure of driving. Here’s a brief list of the nannies that will drive you nuts if you fail to stifle them: low speed collision avoidance system; pedestrian, cyclist and large animal detection system; run-off-road protection and run-off mitigation system; road sign information; lane departure warning and driver alert control. 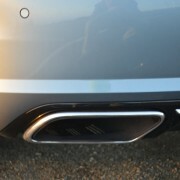 If you chose to drive with all these systems active, the S90 transforms itself from a pleasure module into a beeping, dash illuminating warning system that will reduce you to a bundle of over-wrought nerve endings inside ten miles. 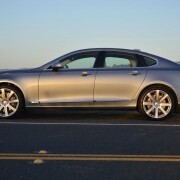 Turn most or all of these nannies off, and the S90 instantly reverts to being the slickest sedan Sweden has ever built.